Are you wondering whether Google Analytics direct traffic is a good thing or not? Many people assume that direct traffic is ‘skewed data’ in Google Analytics and isn’t helpful when it comes to making data-driven decisions. 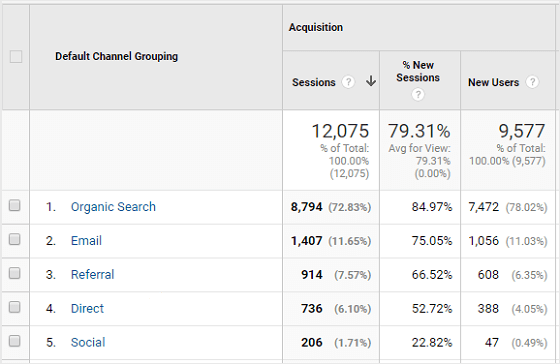 In this article, we’ll show you a different way to look at Google Analytics direct traffic and how to use it to your advantage. 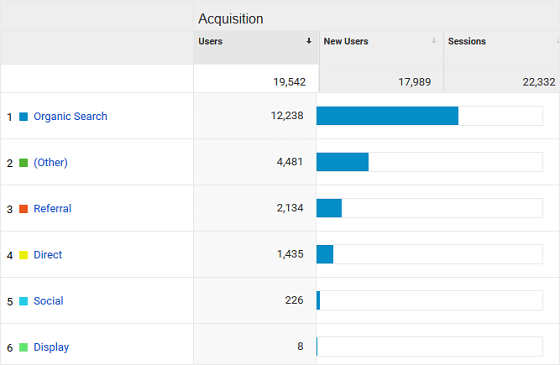 What is Google Analytics Direct Traffic? In the past, we’ve briefly discussed what direct traffic is. But, for those that aren’t sure, here’s a quick review. In Google Analytics, traffic is reported as direct when someone types a website URL into a browser or uses a browser bookmark to visit a website. However, there’s more to it than that. In fact, Google Analytics will report traffic as direct when there’s no way to show where the traffic source came from. Let’s take a look at some of the most common reasons this happens, how you can avoid it, and why it might not be as bad as you think. Anytime someone goes from a secure web page (HTTPS) to a non-secure web page (HTTP), Google Analytics reports the traffic source as direct traffic instead of referral traffic. If your website is not secured, and one of your major referral sources is, there’s a good chance your direct traffic numbers will begin to rise. But don’t worry, it’s easy to fix this. All you have to do is secure your website with an SSL certificate. Not only will this change your site’s URL to an HTTPS, it will help fix any faulty direct traffic source reporting in Google Analytics. If you’re looking for a free SSL certificate solution, check out this helpful tutorial on adding a free SSL in WordPress using Let’s Encrypt. And, if you do decide to make the change from HTTP to HTTPS, follow these step-by-step instructions on changing the protocol in Google Analytics to make sure tracking of all sources, including direct traffic, stays on the right track. As helpful as Google Analytics is, and as good as it is at tracking traffic sources, it can be tricky to connect your WordPress site to Google Analytics. If you don’t put the right Google Analytics snippet on every web page and post on your website, or worse, it’s missing entirely, Google Analytics won’t be able to accurately track the traffic source. As a result, it will track all that traffic as direct traffic. However, using MonsterInsights will stop this problem because setting up Google Analytics in WordPress is a cinch and fail proof. In fact, you’ll never have to worry about improper or missing snippets on your site again. 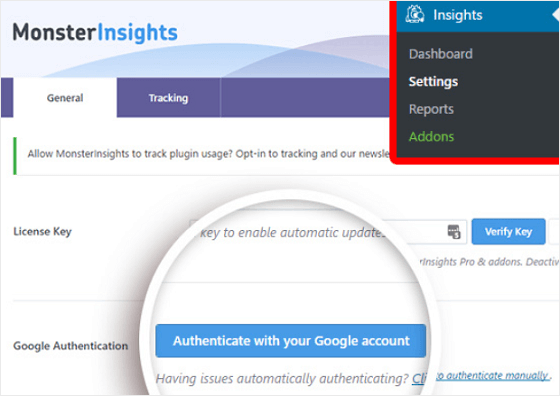 For help with this, check out these step-by-step instructions on setting up Google Analytics in WordPress using MonsterInsights. Any time your site visitors visit your website from a non-web document, such as a Microsoft Word doc, a PDF, a slide deck, or even an app, Google Analytics doesn’t report it as referral traffic. Unfortunately, there isn’t much you can do about this stripping of referral data. And, if you are used to finding referral traffic data in Google Analytics, you might notice that your sometimes your referral numbers are dropping and direct traffic numbers are increasing when you analyze your data. This may happen if you’ve recently incentivized people to subscribe to your email list using a content upgrade, or launched an email marketing campaign encouraging people to check out your site’s most popular blog content or eCommerce shop. If you’re not sure whether to set up a Google Analytics goal or event to track traffic sources that come up as direct traffic in Google Analytics, make sure to check out this helpful guide explaining the difference between goals and events. You may not know or understand dark social, but it’s important to know that a significant amount of your site’s traffic might come from there. And, you guessed it! Google Analytics will mark it as direct traffic because it just can’t quite figure out where it’s coming from. Dark social includes traffic sources such as email, Facebook, Skype, WhatsApp, and instant messaging. And it just so happens that 84% of consumers outbound share to these popular social network platforms from their favorite websites, such as yours. And this means that people on those social platforms are linking back to your website when they see something they like, which is boosting your direct traffic data. The good news about this is that if you can tap into this large pool of site traffic, you can build stronger relationships and nurture leads to build your business into a success. In the end, direct traffic is something all website owners need to deal with. But even though people think all direct traffic data is a bad thing, the truth is, it’s not all bad. In fact, it can actually be really useful when it comes to making data-driven decisions for your business. If you’re looking for ways to boost organic traffic, and target a wider audience, check out our article that comes packed with helpful SEO tools for increasing search rankings.